Anita Jo Intenzo-Haunted Author: CAN PAINTINGS BE HAUNTED? Haunted house stories abound, but tales of haunted paintings are far less common. It seems most ghosts prefer spacious mansions and sprawling cemeteries to the limited space found in a framed portrait or painting. However, not all ghosts limit themselves to traditional haunting grounds. Here are four haunted paintings and the paranormal activity that made them famous. 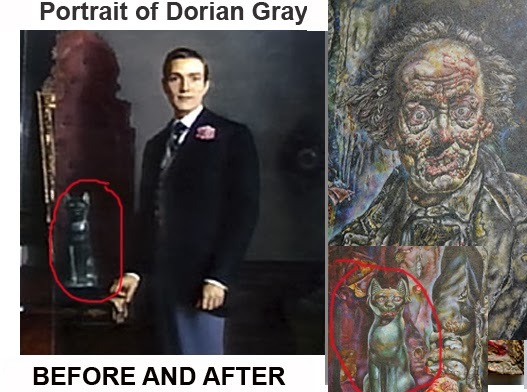 The Picture of Dorian Gray by Oscar Wilde - this is one of the earliest writings(classic) that deal with a haunted painting. The book tells the story of a beautiful, innocent young man's seduction, moral corruption, and eventual downfall. When painter Basil Hallward and his close friend, Lord Henry Wotton, are discussing the subject of Basil's newest painting, a gorgeous young thing named Dorian Gray. Basil and Henry discuss just how perfectly perfect Dorian is – he's totally innocent and completely good, as well as being the most beautiful guy ever to walk the earth. Lord Henry wants to meet this mysterious boy, but Basil doesn't want him to; for some reason, he's afraid of what will happen to Dorian if Lord Henry digs his claws into him. However, Lord Henry gets his wish – Dorian shows up that very afternoon, and, over the course of the day, Henry manages to totally change Dorian's perspective on the world. From that point on, Dorian's previously innocent point of view is dramatically different – he begins to see life as Lord Henry does, as a succession of pleasures in which questions of good and evil are irrelevant. As the years progress Dorian lives a hedonistic life that includes the cruel breakup of his engagement to Sybil Vane, a young, beautiful and talented actress which results in her suicide, the later murders of the painter, Basil and Sybil's brother, the painting that is now hidden but documents this turn for the worst is the portrait, which alarmingly begins to exhibit the inward corruption of Dorian's soul; the beautiful image changes, revealing new scars and physical flaws with each of Dorian's dastardly actions. As years pass, the man in the picture grows more and more hideous, as Dorian himself stays unnaturally young and beautiful. Dorian decides to destroy the picture, the visible evidence of his dreadful crimes, and the closest thing to a conscience he has. Dorian slashes at the painting with the same knife that killed Basil, trying to destroy the work as he did the artist. A terrible cry alerts the servants and they go upstairs to check it out, and are horrified by what they find: a portrait of their master, as beautiful as ever, hangs on the wall, and a mysterious, grotesquely hideous dead man is lying on the floor with a knife in his heart. Upon close examination, the rings on the dead man's hand identify him as Dorian Gray! A number of spirits reportedly haunt The Hotel Galvez in Galveston, TX. However, the stories surrounding the portrait of Bernardo de Galvez are some of the most chilling. Born in 1746, Bernardo de Galvez was a Spanish military leader who aided the American colonies during the Revolutionary War. Bernando, who died in 1786, is also Galveston’s namesake. 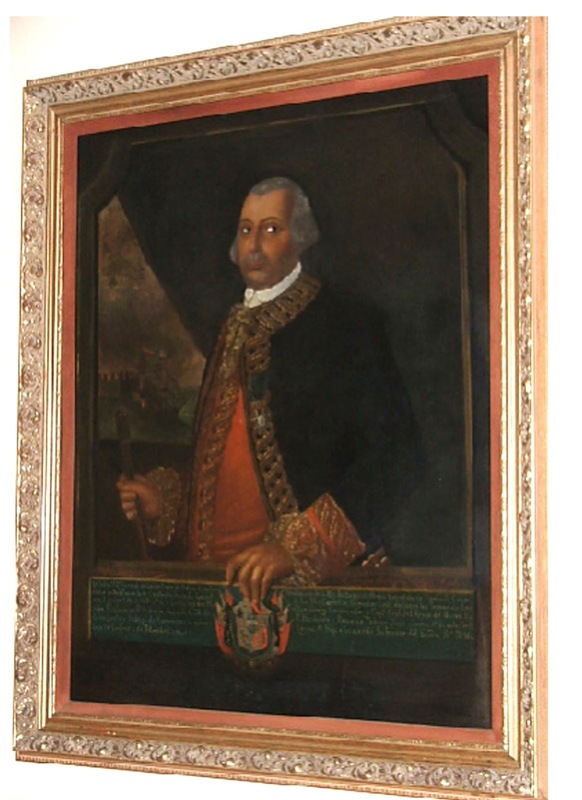 A portrait of Bernando de Galvez hangs at the end of a downstairs hallway at Hotel Galvez. Legend has it the portrait’s painted eyes follow guests as they walk by. People who approach the painting often feel chilled or uneasy. The portrait’s haunted reputation naturally appeals to tourists who try to photograph the painting. However, it seems guests can’t get a clear photo unless they ask Bernando for permission. A paranormal investigation team snapped a picture of the infamous portrait, but the photo was marred by a skeletal image. Perhaps they forgot to ask the long-dead Bernando for his consent to be photographed? a.k.a. the “eBay Haunted Painting” is one of the world’s most haunted works of art by Bill Stoneham. 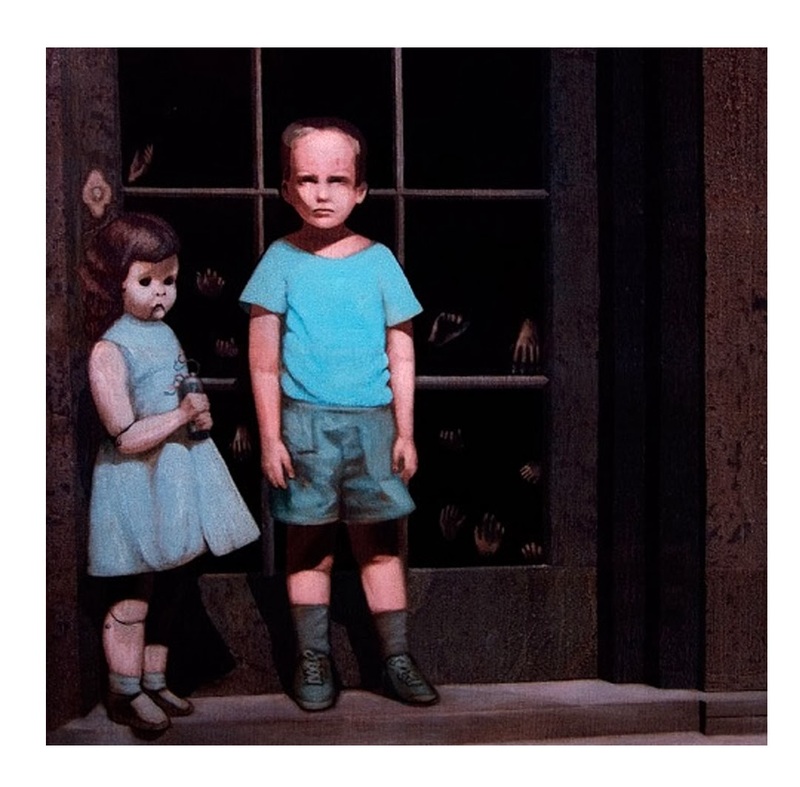 The painting features a boy and creepy doll standing in front of a glass paneled door. Stoneham created the painting in 1972, and The Godfather actor John Marley purchased it a few years later. A couple in California eventually acquired the painting and put on eBay in February 2000. Though the painting is creepy, the story behind it is even more so. According to the couple, the figures in the painting moved around at night and even left the canvas altogether. However, the boy and doll didn’t simply disappear from view. They entered the room in which the painting was displayed. It seems the artwork’s curse didn’t just affect the owners. 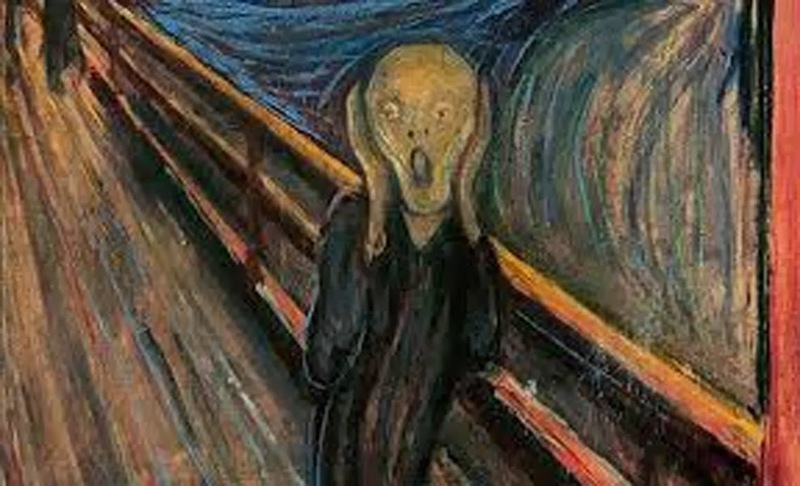 People who viewed the painting online reported feeling sick and faint. Some people claimed their children ran away screaming after seeing “The Hands Resist Him,” while others claimed to be gripped by an unseen entity. One person tried to print a downloaded image of the painting, but their brand new printer refused to cooperate. In 2010, a man named Sean Robinson reported strange activity in his home. 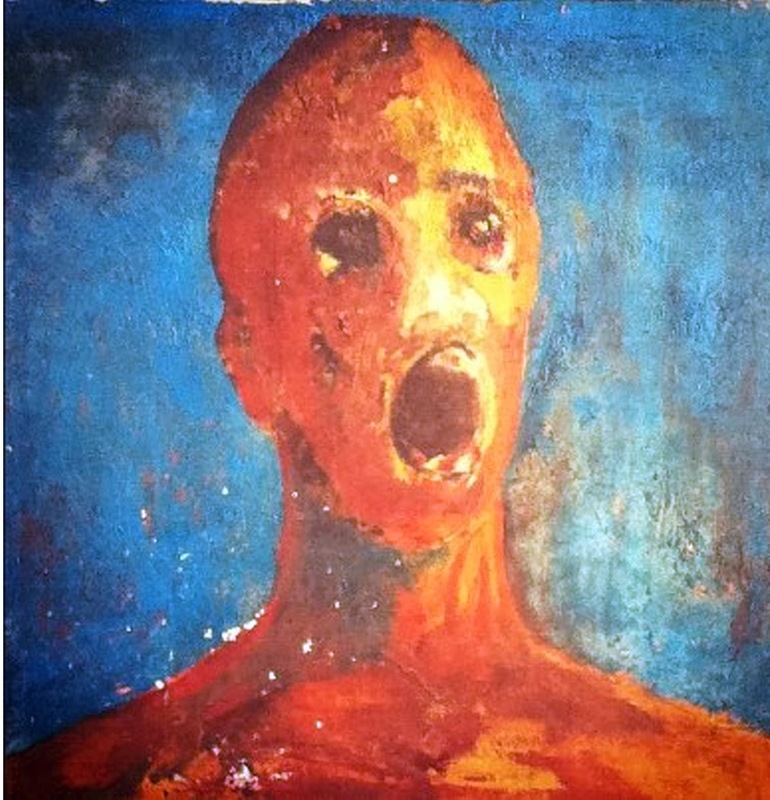 Sean blamed the eerie events on a painting known as “The Anguished Man” and set up a camera to share the paranormal activity with viewers. According to Robinson, his grandmother originally owned the painting and believed it was cursed. She told Sean she saw dark figures near the painting and heard moans and cries in the night. She also claimed the artist had committed suicide after finishing “The Anguished Man” and that he had mixed his own blood with the paint. Sean inherited the painting after his grandmother’s death and experienced the strange events for himself. Videos Robinson uploaded to YouTube show slamming doors, rising smoke, EVPs and the painting falling from a wall. Many viewers, however, are far from impressed. Robinson uploaded the last video on December 15, 2011. Did the activity die down or was it all just a hoax? You decide? As an artist myself I deal with the wonderful creative and tactile aspect of putting paint to canvas, or pencil to paper to illustrate or convey my emotional approach to a subject I decide is worth further exploration perhaps in a way other people may never seen before. The process is a mysterious one of putting yourself into a "zone" of creative burning fire that takes over you as you loose track of time, loss of appetite and the desire to eat and even wearing the same old paint splattered clothes with no thought of fashion. People look everyday at the world and all the things around them- but do they really see. Portraits are a powerful statement even if you don't know the person. Their spirits could still be attached to this great moment of triumph of recognition. They are frozen in time and for all history. Think of a self portrait by van Gogh, or by Rembrandt, or the Mona Lisa. We view them even today and feel a powerful even visceral connection to their lives.Who are we to think that the artist, the environment and gift of creative energy bringing an emotional psychic connection between artist and the subject share- just dissipates after the commission? Perhaps not. Creative energy can never be destroyed; it continues it's journey in the Universe looking for it's next Muse!